There was no team scoring at the meet so all eyes were on the individual players to put on their best performance against their counterparts. For UConn, they continued the same level of play from last week. Sophomore Todd Stueber finished first in the shot-put competition throwing the ball 16.68 meters, a personal best. 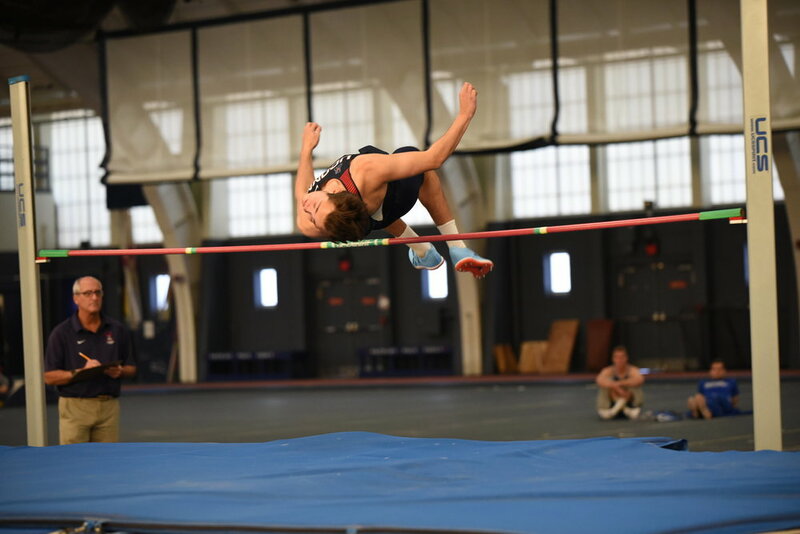 This beat out Northeastern’s Spencer Mckeough and Harvard’s Samuel Welsh by .18 meters. Senior Ian Bergere finished first tied with three other competitors in the pole-vault competition with a high of 4.95 meters. Sophomore Devon Mcshane also competed in the event finishing sixth with a 4.50-meter jump. Connecticut only had one person compete in the men’s triple jump: freshman Colin Wiltshire. However, Wiltshire failed to qualify for any of his attempts as he finished dead last and none of his scores were counted due to fouls. Senior Josiah Thompson finished third in the first heat of the 60-meter dash. He ran a 7.04 second time at the event finishing behind Yale and Northeastern runners. Senior Kyle Trocki finished fifth in the 400-meter dash with a 1:04:61 time. Redshirt sophomore Brian Camilleri finished seventh as well in the competition. In the 200-meter dash, UConn had two freshman runners finish in the top 30. Noah Woodman finished seventeenth with a time of 21.78 seconds and Myles Calhoun finished twenty first with a time of 21.85 seconds. With the ACC Championship two weeks away, the kind of performances are exactly what the team needs to be ready to compete. On Friday, they’ll head to the Pre-Conference Meet at the University of Rhode Island and continue to prepare for the championship. Daniel Dashefsky is a campus correspondent for The Daily Campus. He can be reached at daniel.dashefsky@uconn.edu.